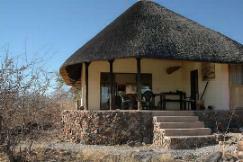 Tandala Ridge is located in Etosha Park area in northern Namibia. Tired of being stuck in your car? Want to track game on foot? Hike the game trails of Windpoort Farm and enjoy the freedom to walk without fear of becoming part of the food chain. Wait in a hide at waterholes for herds of animals to come drink and lick salt. Tired of being locked in at night? Come on night drives around the farm and see creatures you will never see during the day. Aardwolf, honey badger, bush baby, caracal, wildcat, hyena and more. 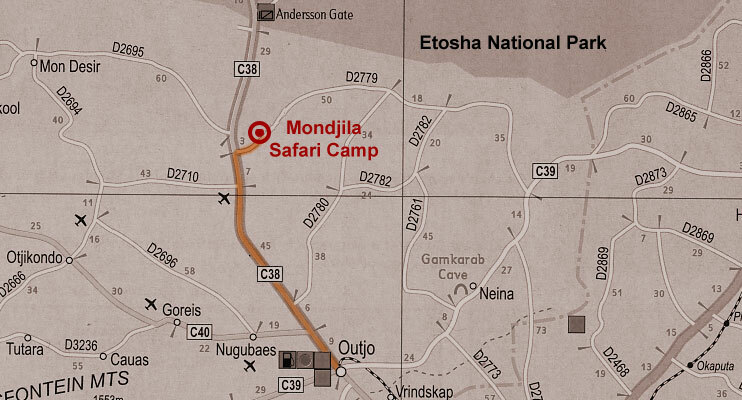 Located just 10 km as the crow flies and 45 minutes by road (D2695) from Etosha National Park, Tandala Ridge B&B on Windpoort Farm provides the excitement of Etosha without the restrictions and risks. The wild game species are beautiful, accessible and benign. No elephant or lion, but plenty of kudu, Oryx, red hartebeest, zebra and eland. Smaller antelope such as duiker, dik dik and steenbok abound as well as the rare Welwitchi hyrax, Jameson's rock rabbit, dassie rat and striped tree squirrel. 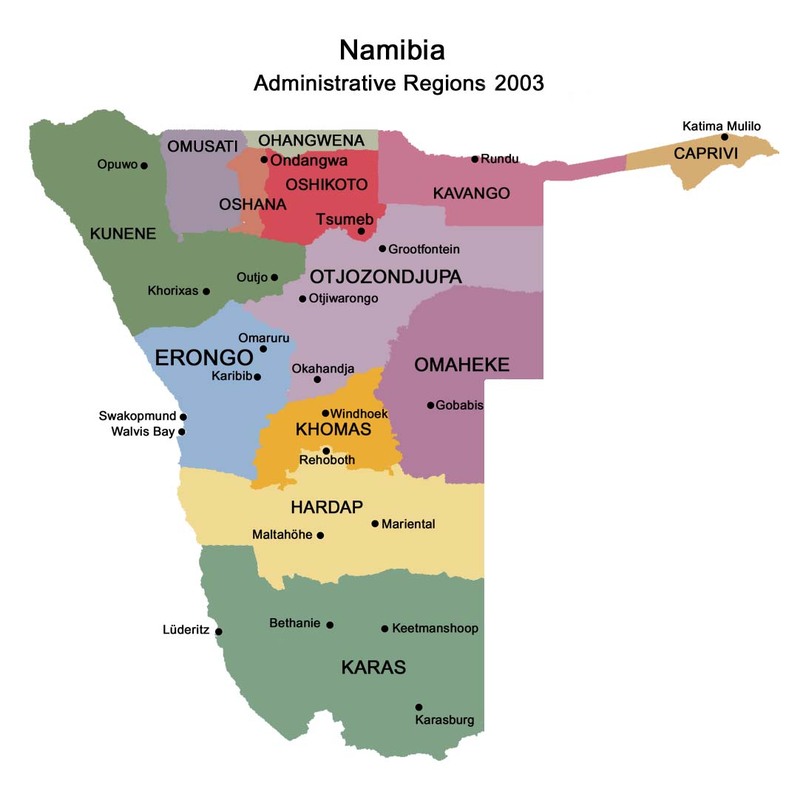 Four species new to science have been found on Windpoort Farm - a rock mouse, an elephant shrew, an agamid lizard and a gecko. 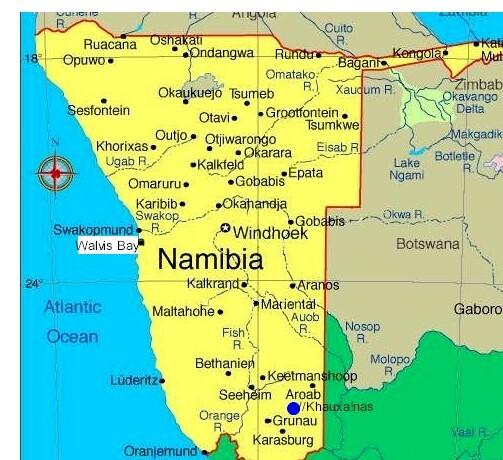 On Windpoort Farm (5850 ha) experience the cradle of mankind with its many Paleolithic stone tool sites, and the cradle of life itself with hectares of stromatolites - 650 million year-old fossil blue-green algae, the first life form on earth. Have sundowners with an African wildcat and dinner with African porcupines. The wildlife around Tandala Ridge is totally wild, but because there are no domestic animals, they are comfortable with sharing our environment. Your hosts, Tim and Laurel Osborne are naturalists, wildlife researchers, and authors who are happy to share their knowledge, stories and research with you. 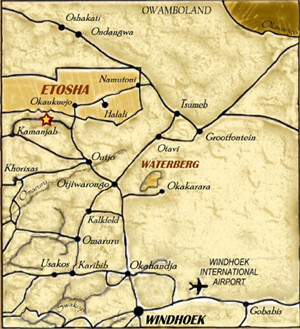 Your accommodation is in two beautiful en-suite thatched chalets overlooking a vast valley of game and the hills of Etosha. 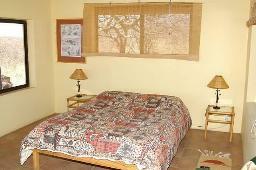 A maximum of four persons can be accommodated at one time, ensuring your privacy and individual attention.